Toilets used to be just plain, utilitarian plumbing fixtures in homes that served an important purpose without adding any enhancement at all to the surrounding area. Today, this is no longer true due to the fact that there have been numerous innovations and improvements to these fixtures to bring us to the present-day offerings of modern toilets. Not only can you find different types of models and installation methods for these fixtures now, but also there are intelligent ones that provide the ultimate toileting experience to you. Close-coupled toilets probably are the most popular models, especially for those on a budget. With these toilets the cistern and pan come as one single unit, and this makes for an easy installation. In addition, these come in a variety of styles and shapes with all of them concealing the unsightly pipes inside the unit. Back-to-wall models also contain both the pan and cistern in a single unit as with the close-coupled ones. One major difference, though, between these two models is the fact that the back-to-wall ones install flush against the wall and hence, their name. Wall-hung toilets appear to float since they mount on the wall off the floor. Ideal for a modern decor style, and the installation height is easy to adjust for those with mobility or other issues. Wall-faced toilets have the pan and cistern separate from each other. 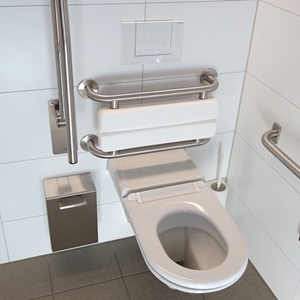 The pan installs flush to the wall and on the floor while the cistern is in a cabinet or inside the wall. You need to understand that the pan and cistern may be sold as individual units and not as a package. Since the cistern can be placed in the wall, this model is suitable for small or large spaces. Intelligent toilets are wall-hung models that include touch-free flushing, remote control functionality, a hygienic rimless bowl and a contemporary design along with a UV self-cleansing, built-in bidet. Urinals may be desirable in addition to your favourite model of toilet if your household has one or more males in it. These come in a variety of models ranging from traditional floor mounts to highly modern wall units. For additional information about the amazing wonders of modern toilets, consult with Concept Bathrooms & Construction. Our experts will guide you to the ideal model for your needs, budget and decor. We provide expert construction and renovation services for bathrooms, kitchens and extensions.